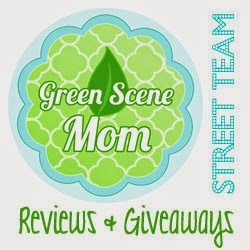 I had the opportunity to review a product from Green Babies. I want to tell you a little about about them. Bath time is a special way to show baby how much you care. Baby Me Shampoo & Wash is made with the finest cleansers and natural botanicals the Earth has to offer. A surprisingly effective clean, this emollient-rich formula also soothes and protects from the top of baby’s beautiful big head to the tips of tiny wiggling toes. Brendan said it makes his hair really clean and he smells fresh like a baby.